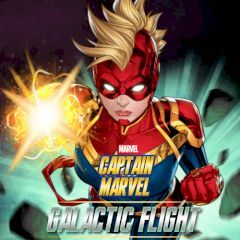 Have you ever wanted to play for amazing Captain Marvel? Well, you have that chance now, so prepare for a great fight and flight. Control your character in the air and shoot enemies, pick up tokens and get new amazing weapons. Clear the screen from drones and kill mini bosses. Every level has objectives, so complete them for better results! Play How Well Do You Know Squirrel Girl?